The DNC email leak, which occurred in June and July 2016, still stirs a lot of controversy. On 13 July 2018 Special Counsel Robert Mueller indicted 12 Russian individuals for being responsible for the alleged hack of DNC servers. However, a 2017 study by the Veteran Intelligence Professionals for Sanity (VIPS) indicated that the aforementioned data was most likely copied to a thumb-drive or a storage device as part of an inside job rather than an outside hack. DNC staffer Seth Rich, who was shot in the back on 10 July 2016, was rumoured to be behind the DNC leak. It is still unclear whether Assange would name names, Garrie noted: "Chelsea Manning is back in prison for refusing to testify about issues which could compromise her relationship with Assange and as such, it is difficult to imagine Assange revealing his own sources for the DNC leaks even under pressure". "However, Assange has already strongly alluded to the fact that it was not the Russian government which gave him the DNC emails", the think tank director continued. "Likewise, many have proposed that the slain former DNC worker Seth Rich was the individual who passed the infamous emails to Wikileaks. If this is the case, it could be possible that Assange might give the Trump White House information that it clearly wants in exchange for his own freedom. But it cannot be emphasised enough that at this point, such a hypothesis is based only on speculation". According to Garrie, "many elements in the United States and the government and intelligence agencies of its closest partners have long sought to silence Assange's freedom to publish and report by any means necessary". "Hillary Clinton once stated that she would be happy if Assange was assassinated with a military drone. 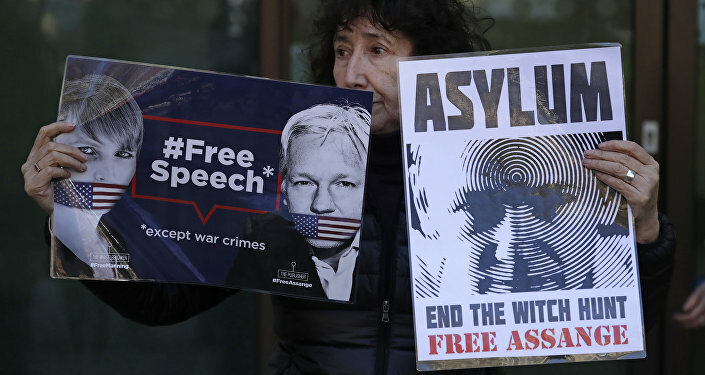 Many other leading US politicians, government workers and prominent government supporters have likewise openly and publically proclaimed their desire to see Assange silenced or killed", the geopolitical analyst said. In October 2016, True Pundit reported about Hillary Clinton allegedly discussing a plan to silence the WikiLeaks founder following the DNC email leak that cast a shadow on her presidential campaign. According to the media outlet, then Democratic presidential nominee reportedly asked: "Can't we just drone this guy?" 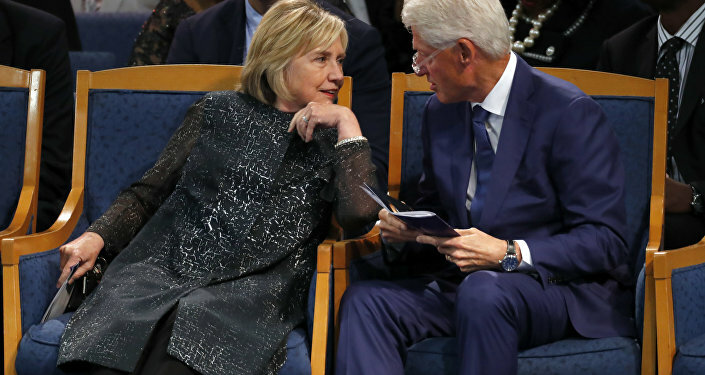 Hours after Assange was arrested on 11 April 2019, Hillary Clinton stated that he must "answer for what he has done". 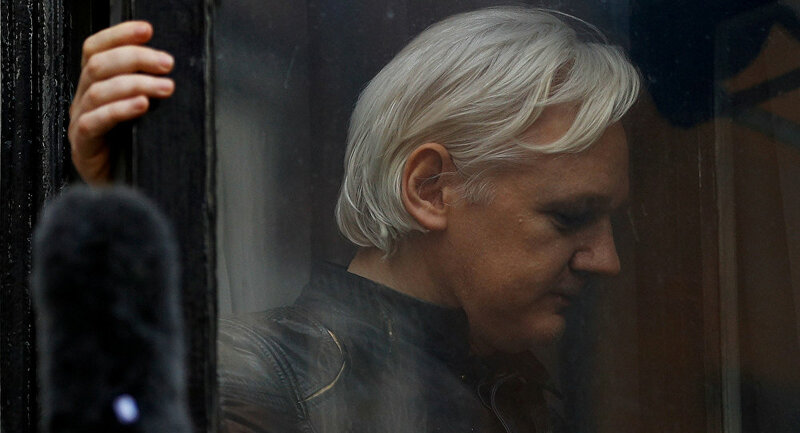 Given the intense struggle between Trump's proponents and antagonists in Washington the questions arises as to whether the WikiLeaks founder's arrest has to do with the upcoming 2020 presidential elections in the US. "As for the timing, it may well have had more to do with UK politics than the still far off US election", Garrie opined. "This is the case not only because some of Trump's most vocal supporters are actually pro-Assange, but due to the fact that Assange's manhandling within the Ecuadorian Embassy in London came literally hours after UK Prime Minister Theresa May produced yet another widely unpopular Brexit failure". "As such, all of the news outlets prepared to interview May's increasingly long list of critics instead shifted to discuss Julian Assange and Wikileaks", he suggested. Commenting on Ecuadorian President Lenin Moreno's statement that Julian Assange used the Ecuadorian Embassy in London as a "centre for spying", Garrie suggested that these remarks "should be recognised for what they are — the 21st century version of the smear campaigns and wholesale character assassination that the Hitler Reich used against Germans who fell out of favour with the regime of the day". "What is happening today with the insidious accusations against Julian Assange should be viewed in the same light. These are the depths to which Assange's persecutors have plunged", he highlighted, drawing historic parallels with the People's Court of Nazi Germany. In his op-ed for Eurasia Future, the geopolitical analyst presumed that if a "powerful nation" granted its citizenship to Julian Assange, a prisoner swap will be a possible way to prevent Assange from extradition to the US. "There are a number of globally influential nations that might be interested in a prisoner swap with the United States. However, based on recent precedent, Russia is the most likely candidate", the think tank director suggested. He recalled that it was Russia who had given asylum to US whistle blower and former NSA contractor Edward Snowden "who remains in Russia, much to the consternation of the same kinds of people who wish ill upon Julian Assange". "However, with Russia-US relations already at a very low point and getting worse, it is difficult to assume that Russia would want to risk a further downgrade by intervening in the Assange issue, even if it were initially for humanitarian purposes", the geopolitical analyst concluded. The views expressed in this article are solely those of the contributor and the speaker and do not necessarily reflect the official position of Sputnik.